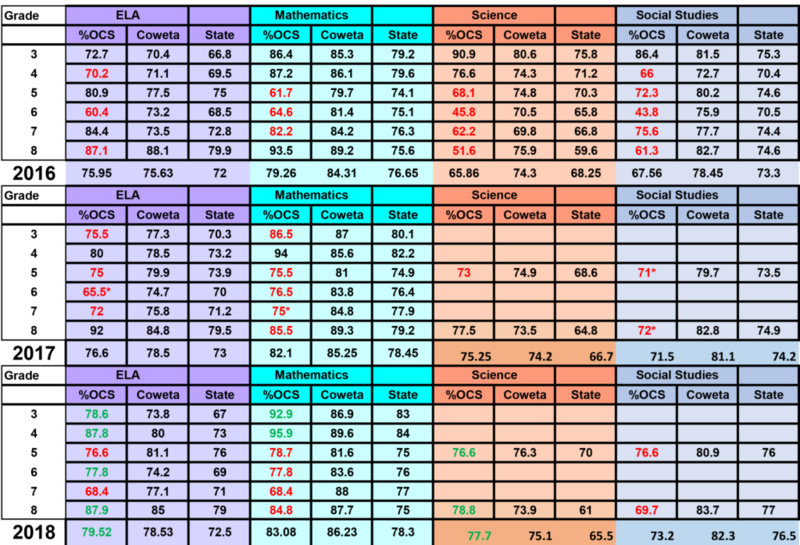 Below is a chart showing the 2016, 2017 and 2018 Georgia Milestones test scores for Odyssey Charter School scholars as compared to the Coweta County average scores and the State of Georgia average scores. All of our students scored “Developing” or higher on the GA Milestones test. Our scholars have improved their scores every year and in 2018, they outscored the state in 13 out of 16 categories, in most areas by 10% or greater. Proficient Learners demonstrate proficiency in the knowledge and skills necessary at this grade level/course of learning, as specified in Georgia’s content standards. The studentsare prepared for the next grade level or course and are on track for college and career readiness.